Anyone wanting the inside spec. 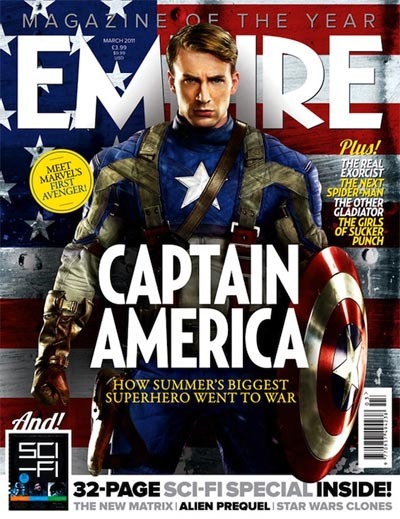 on the new Captain America movie could do worse than check out the new issue of Empire Magazine where they have a very interesting article on the first Avenger. And no, you can’t have my copy… I found it frozen in the ice next to a body in an ice block. Now, where’s the vial of green gloopy stuff from that old buried 1940s lab that those SHIELD agents left for me?